The Eagle Nebula Messier 16 in the constellation Serpens is one of the largest and most famous nebulae of the Milky Way. This active star born region is located at a distance of about 7000 light years. The absolute extent of the shown nebula is about 140 light years. M 16 covers an area of ? ?2 moon diameters in the sky. 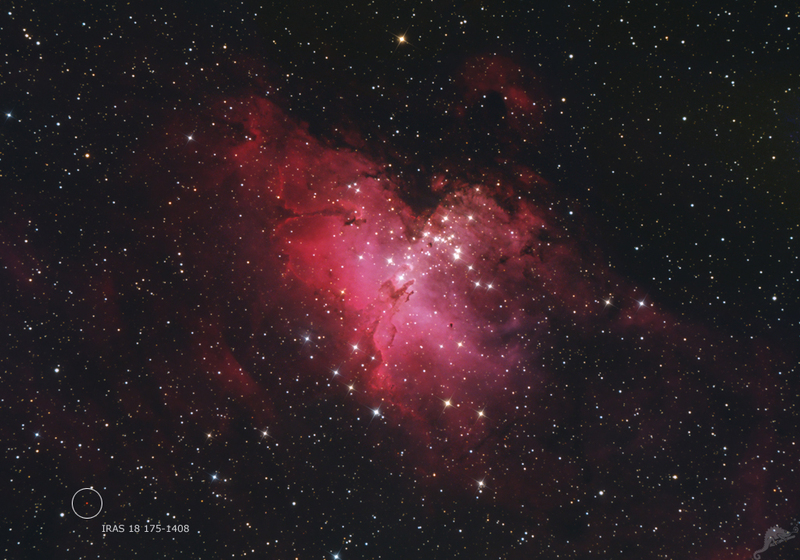 The central part of the nebula contains the central star cluster of young, hot stars with dark gas and dust pillars, the famous "Pillars of Creation". 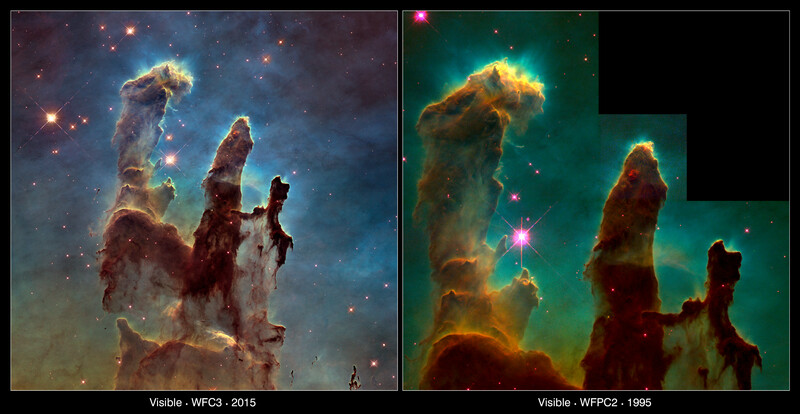 The pillars contain a variety of in the surrounding gas hidden, newborn stars. They can be viewed in this fascinating image from the Hubble Telescope in highest resolution. In the lower left corner there is an extremely reddish star called IRAS 18175-1408. It is a cool star of spectral type S with strong absorption lines of zirconia. The B-V index of the star is about 3.5 mag, probably the star's light is additionally reddened by interstellar gas and dust clouds. The transparency of the atmosphere was not good at both days of imaging. The blue channel of the image was very weak and made the processing difficult. The spikes were inserted artificially. 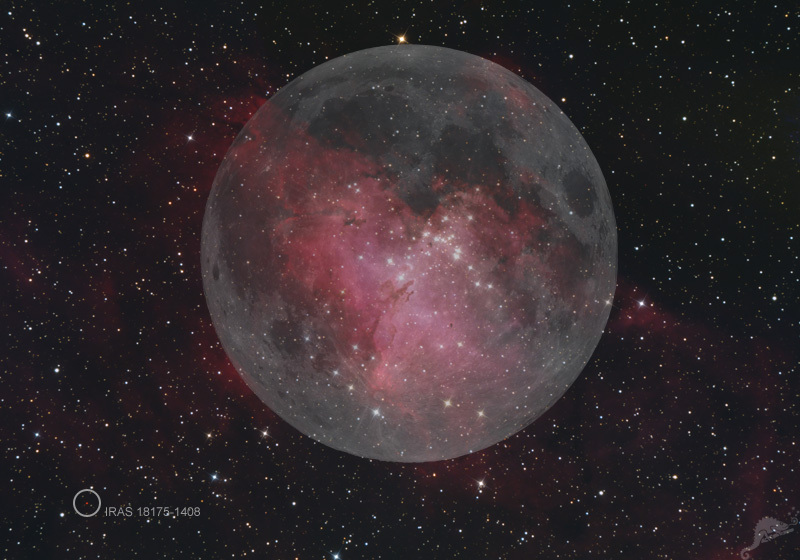 Click on the image above for the object identification and a comparison with the size of the Moon.